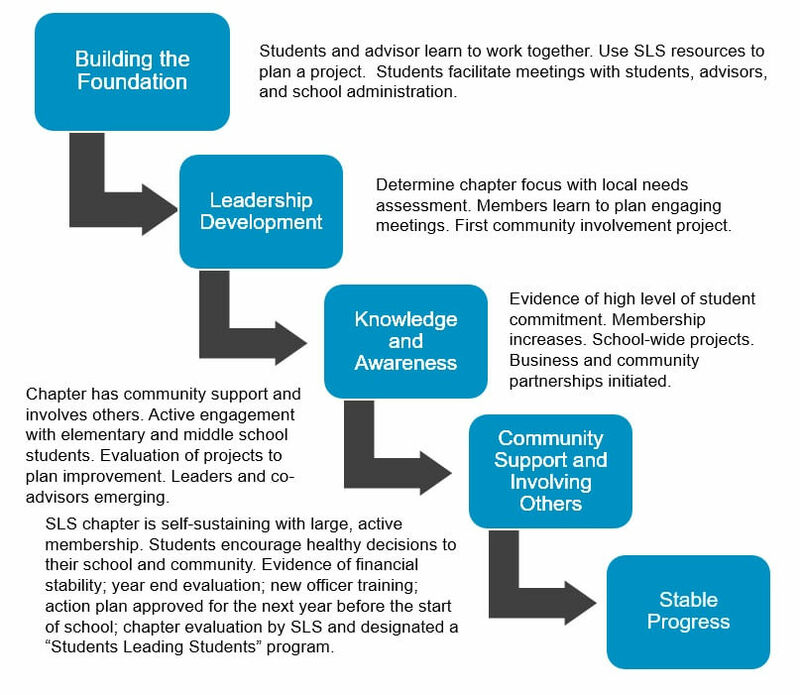 Why start an SLS Chapter at your school? Students Leading Students influence their peers to make healthy choices. They are trained by SLS to engage, educate, and motivate their peers to make positive choices. 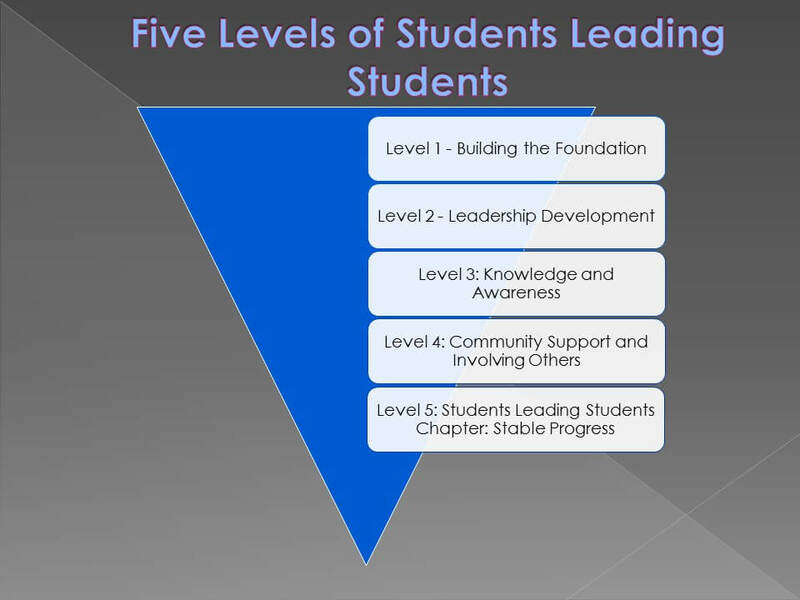 Faculty advisors provide guidance and support to their “Student Leading Students” Chapter. Chapter activities focus on leadership development, drug, and alcohol awareness, resistance skills, personal safety, peer education, bullying, violence prevention, suicide awareness, service, safety belt use, safe driving, and community/environment awareness. High school SLS role models trained in “Peer Resistance Skills” educate fourth and fifth graders how to say “NO” in peer pressure situation. 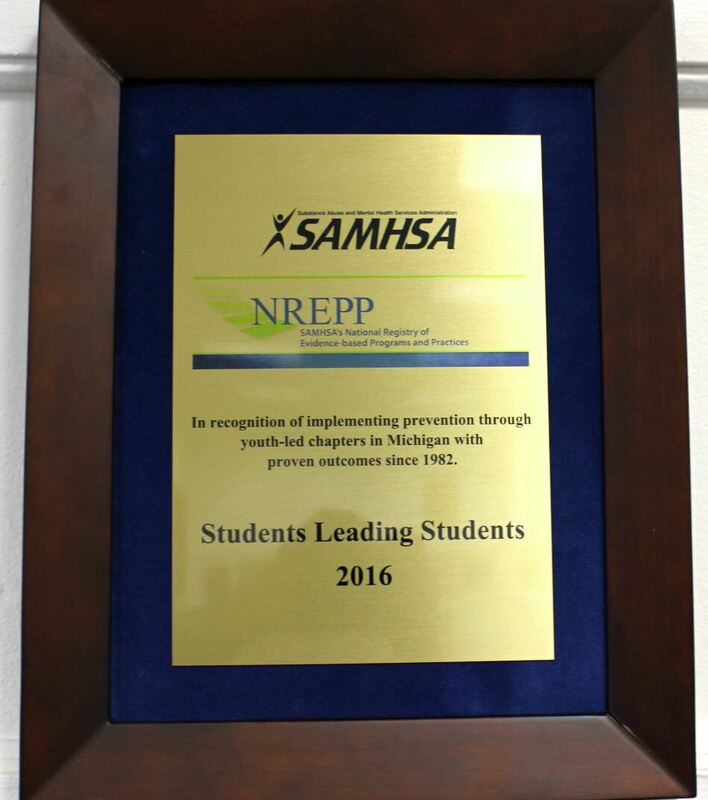 (Since 1986, more than 260,300 youth learned resistance skills from 16,000 SLS peers). Three interactive lessons for middle school students on Substance Abuse, Bullying, and Health are presented by high school SLS leaders. I will not participate in self-defeating behaviors that could damage who I am and who I want to be. I will make appropriate decisions when driving or riding in a car. I will help and support my friends to do the same.